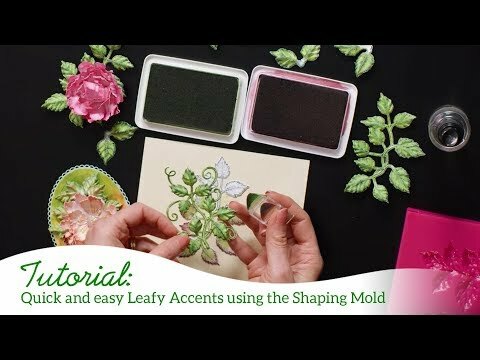 For more tips on creating with the Oakberry Lane collection, watch the tutorial at https://youtu.be/HirfUN8NEYY. Instructions: Card size: 5 1/8 x 7 1/8". Cut piece of white 5 x 6 1/4" then die cut the bottom with the Delicate Border Basics and cut an oval out of the middle. Run it through die cutting machine with an embossing folder. Cut a piece of decorative paper 5 x 2 1/8". Cut an oval frame with Eyelet Oval & Basics Small and Eyelet Oval & Basics Large dies. Cut a piece of foam sheet 4 3/4 x 6 3/4" and cut an oval larger than the opening on white embossed panel (put white embossed panel on foam sheet and draw around oval for placement of die). Let foam sheet rest, over-night is best. Glue embossed panel and purple paper panel to foam sheet and then glue foam sheet to folded card. On the oval cut out of white panel, stamp sentiment with Majestic Violet Ink and glue down into oval then glue purple frame onto oval opening. Cut 2 corners from Album Tags and Accents die and glue to bottom corners of card. Stamp, color and die cut blossoms and leaves. Die cut stamen from vellum using the Flowering Dogwood die and add yellow Nuvo drops to each end of stamen. 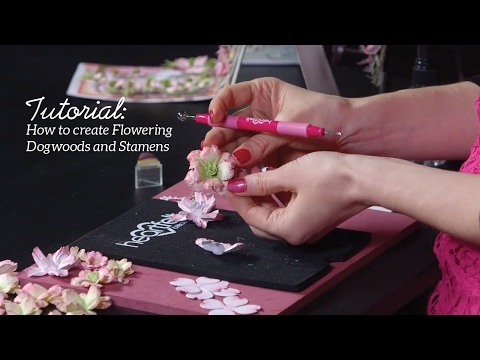 Run Oakberry blossom through the 3D Basics shaping mold, misting each layer of blossom (up to 3 layers), let dry and glue 2 layers together to form a flower, (Larger flowers are 2 different sizes and small flowers are both the same size on layers). Glue stamen to the centers and then glue Prills in the centers as well. Run leaves through leaf shaping mold and let dry. Cut leaves apart, cut leaves and berries off of the Oakberry Lane Antics flower (Use the berries and leaves and set the flower aside to use another time). Start arranging flowers, blossoms, leaves and berries around oval. Glitter blossoms, flowers, and some leaves. Add pearls on all cross sections of embossed pattern and on the corners at the bottom.